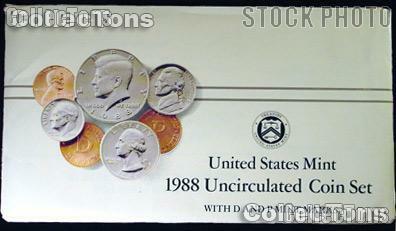 This listing is for a 1988 U.S. Mint Uncirculated Set. This 1988 Mint Set has 10 coins including the Cent through Half Dollar from both the Philadelphia and Denver Mints in 1988 and one novelty token from each mint. 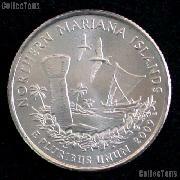 The coins may have light toning, spotting or oxidation. The envelopes have some light wear and tear. They are not quite as nice as our handpicked retail sets, but we are offering them at this incredible wholesale price!